*HMI at Calypso Plaza* is ideally located across from Coolangatta Beach on Australia's famous Gold Coast. 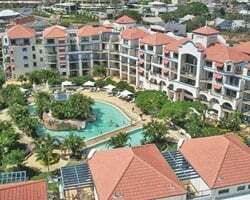 Couples and families will love this amazing resort for its many amenities and close proximity to all the cafes, restaurants, and nightlife, and adventure activities that make Coolongatta Beach a vacation hot spot! Some on-site amenities include a heated lagoon-shaped swimming pool, gymnasium, sauna, restaurant and bar. 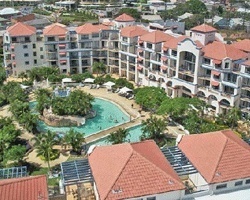 For more information about this resort, visit www.calypso-plaza.com.au. 5,000 AUD. Across the street from the beach! Inquire Today! Annual week 33! Steps away from the beach! Close to many activities to enjoy!